David patiently waiting for the witching hour. The Milky Way shines bright in Unit 10. Hunter David Toyne with Colburn and Scott Outfitters guide Janis Putelis. 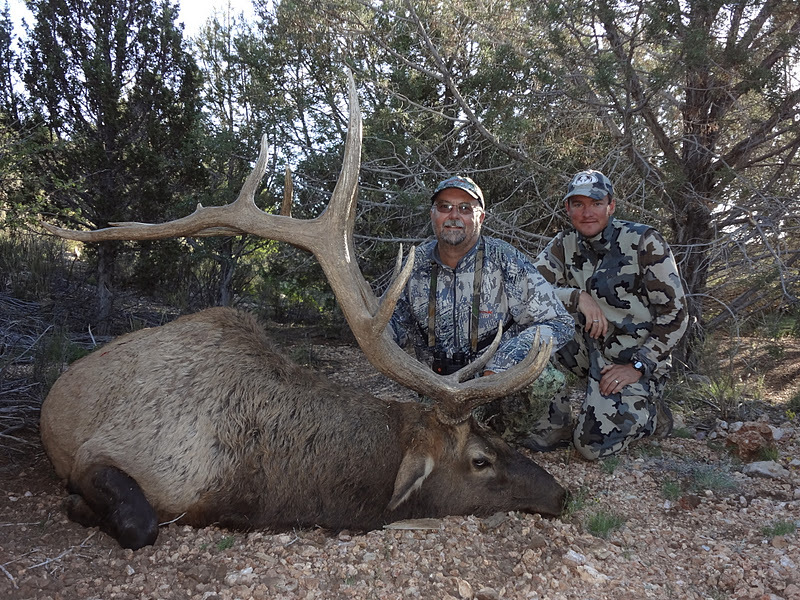 "I booked my hunt with Colburn and Scott Outfitters for area 10 Early Rifle. As soon as I got to camp I could tell they were great people and I felt like they were my hunting buddies from day one. They had scouted for weeks and knew the area very well and were organized and after we talked came up with a game plan for the morning. We talked about what my initial goal was and the hunt was on. I would have to say this was the most intense and hardest hunt I have ever been on. Janis is a hiking, hunting machine which the elk and I would put to the test. On the last day of the hunt we had a small window of opportunity and we had our elk down. I have harvested bigger elk, but this is by far the most memorable hunt I have experienced. Thanks to Janis, Darr and Jay "